The Chevrolet Blazer has officially made a comeback. For those who remember the Blazer, it was an eye-catching, capable vehicle that got the job done. 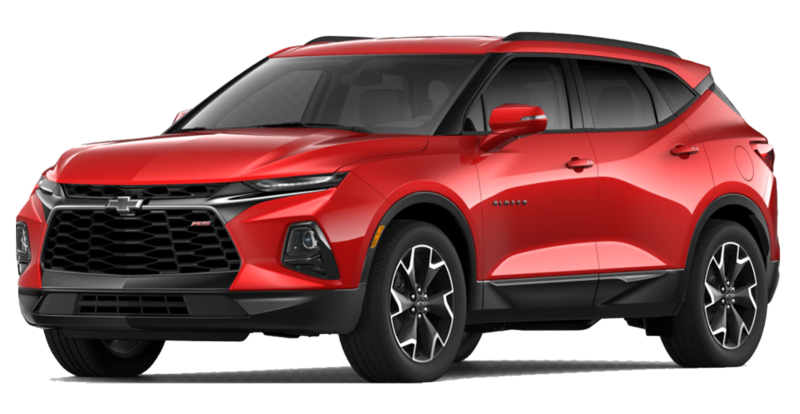 The 2019 Chevrolet Blazer in no exception. It falls into the midsize SUV category, so if you need something in-between it may be the right choice. 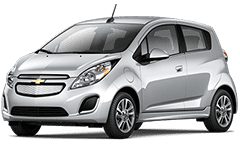 With a sleek and polished front end, everyone will see you coming especially with ultra-thin LED daytime running lamps to provide additional styling. Its highly configurable cargo area allows you to adapt to whatever situation arises. Travel a lot? Plenty of room for luggage with adjustable rear seats. Enjoy weekend activities? Rear seats fold down flat so you can pack it full of your favorite items with room to spare. Chevrolet’s first cargo management system provides allows for a secure load as well as organization encased in a study floor-mounted rail system. No more shifting loads. How about the 4,500 lbs of towing capacity? Or standard 8-inch diagonal touchscreen? With an AWD powertrain and these amazing features, the 2019 Chevrolet Blazer is awaiting you. *All leases: $1999 cash or trade down, includes lease conquest rebate, 24 months, 10K miles/y. Title, acq., reg. doc. additional. Extra charges may apply at lease end. Call for details. Residency restrictions apply. Stock #c64695. See dealer for details. By submitting you agree to our terms and conditions . $299 documentation fee not included in final price. $20 per $1,000 borrowed. Security deposit not required. Subject to program change without notice. Sale ends 04-30-2019.